Hollybeary Creations : NND Sweet Treats Blog Hop!! NND Sweet Treats Blog Hop!! Happy Friday eveyrone.. 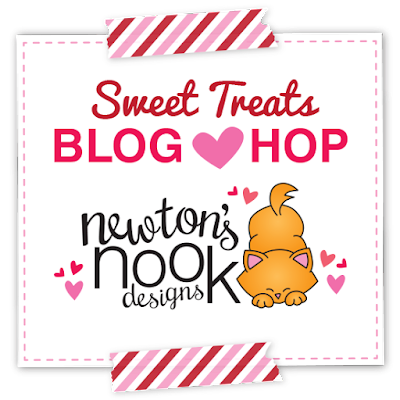 It's time for a Sweet Treats Blog Hop with Newton's Nook!! The Design Team are sharing lots of Fun sweet Treats you can creare for Valentine's Day. Be sure to Hop along and leave comments for a chance to WIN!! I creatd some fun little treast using those mini Conversation hearts boxes. You can get all the details on how I created these boxes in the video below. 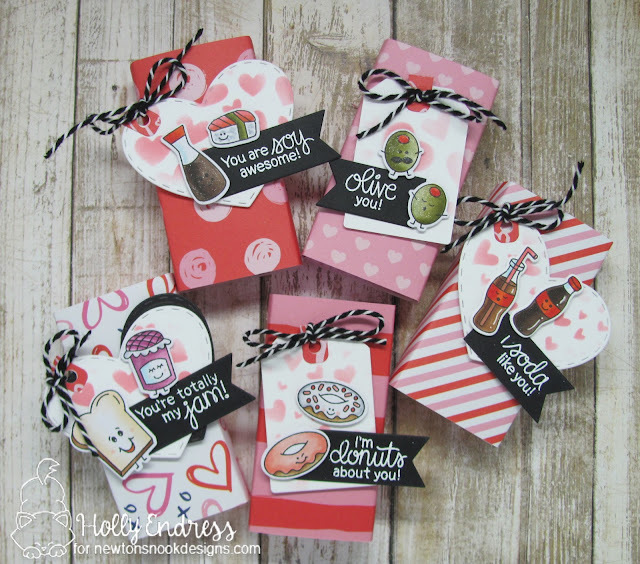 I covered each box with some Pattern Papers and then I created Tags using the Tags Times Two, Fancy Edges Tag Die and the Darling Hearts Die sets. I added some hearts with the new Tumbling Hearts stencil and Distress Oxide Inks. I used several of the images and sentiments from the Love Bites stamp set . These are perfect for a Child's class, quick little treats for co-workers etc. and you could change out the images and papers for different seasons. Check out all the details below and Hop along for a chance to WIN!! those treats are so very nice! Your use of the foodies and the way you colored them, then the Black signs...perfection! 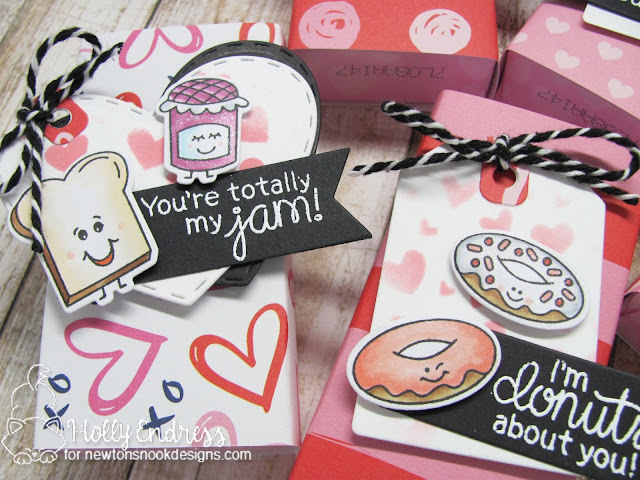 Love the fun sentiments to go along with the goodies from the Love Bites set! Pretty details and coloring on each one! You've been very busy making those adorable little tags! I love them all, so cute! I love those little donuts, so cute! I'd love receiving this cute little tags and boxes over the candy any day! Love how the design team come up with sweet and fabulous projects, I love yours too! What a cute way to decorate those treats. Great (and easy!) ideas!!! I really like the Love Bites stamps and the Tumbling Hearts Stencil you used on these. And the heart and tag dies, too!! I love the boxes! And the images are so adorable! Fun, fun, fun!! And such a cute way to present a little treat. Those olives are my favorite, so adorbs! These are so cute!!! 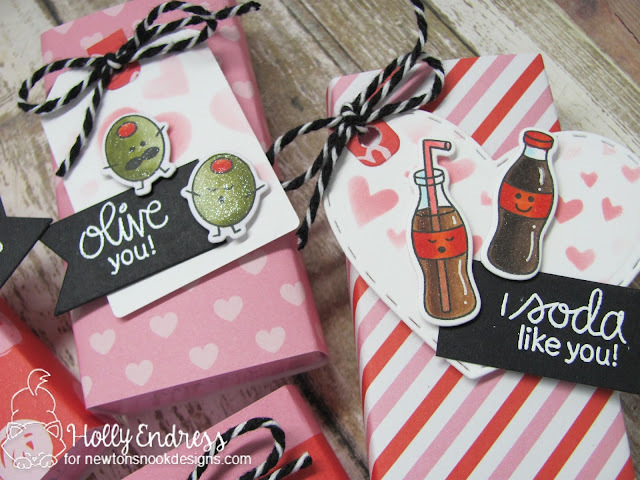 I love the way you decorated those little Valentine Treats! Great papers and tags! Thanks for hopping with us! darling tags. The olives are fun too. Too cute! Love the boxes! Super cute! 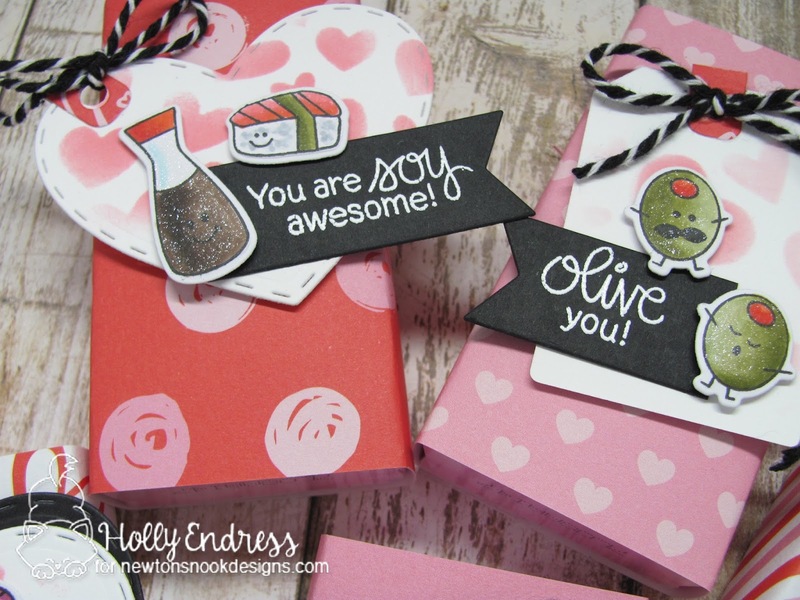 I love the glittery olives and soy sauce! These little treat characters are perfect for treat bags! I love your cute treat boxes - those puns are so fun! Great treat boxes. Thanks for the video with instructions also. So cute. Wonderful treat boxes and that stamp set called Love Bites!